" The SAQ® Programme has been implemented by Essex County Cricket Club for over 5 years. Not only is it effective, it is also challenging and motivational for players. " " Dynamic flex is the way we should warm up because when we play sport and exercise it is dynamic. 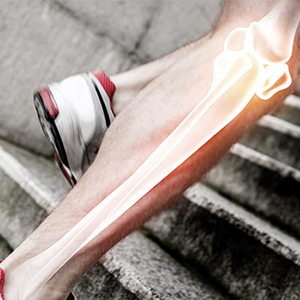 Dynamic flex warms up the cardiovascular and neuromuscular systems and can be adapted to the needs of all sports. " " With the SAQ® Continuum, training possibilities are limited only by your imagination! " " The results of the Final Assessment prove that, as a result of implementing an 8-week, sports specific conditioning programme using SAQ® Training principles, Real Tennis performance improved. " 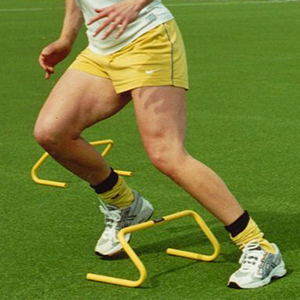 " Continued use of SAQ® Training and SAQ® Equipment can transform a 'player' into an 'athlete' - a player with much improved balance, agility and acceleration. " " Probably the biggest success is the SAQ®. The children have taken it on, the teachers have taken it on - we can defiantly see an improvement in movement. " " I have never enjoyed or felt I have benefited so much for a coaching course before and have been in contact with my athletes club strongly recommending all their coaches attend this training course. " " The Army itself is begnning to recognise the benefits of SAQ as a training tool, not only for sports but also for progressive training to allow recruits to achieve the demanding fitness targets of basic training. " " I introduced SAQ® Training principles to my training and conditioning programme and increased my bowling speed by 10mph. " " Having been a professional player for over 20 years I have seen many trainers and many training programmes, years of old school, prosaic programs. My experience with SAQ fundamentally changed the way I looked at my training. " " SAQ® offers an irresistible combination: injury prevention, increased power, improvements in speed and a structured method for players to develop rapid changes of direction under control. " " This course has been extremely enriching. It has developed me as a SAQ® Trainer and made me so much more employable by equipping me with a thorough understanding of the SAQ® Continuum. " " SAQ® plays a central role within our partnerships, particularly in encouraging teachers to be innovative and develop pupils' generic movement skills. " " SAQ® Programmes have changed the way in which we train our coaches and our players. We are now including SAQ® Equipment in all our performance coaches courses. " " An excellent, well delivered course that far outreached the initial and course specific aims. It has provided additional skills that can now be implemented across a variety of sports. " " In addition to 'superb' I could also add 'inspiring', 'challenging', 'highly motivational' and 'educational'. To have learned so much in one day and have an opportunity to put the principles into practice was quite exhilarating. " " The programme made the players work smartly and the drills were game related so they understood the benefits to be gained by using SAQ® Training. All feedback received from players, coaches and parents has been very positive. " " I feel like I've re-trained and have the same level of inspiration I once had. Most valuable training day I've had. " " An excellent course with a quality presenter. It enables me to use some of the facts and stats in schools which will hopefully enhance business. " " In Alan Pearson, SAQ® have somebody with unequalled enthusiasm and foresight to think 'outside the box' to ensure that the principles of SAQ® underpin the fundamental movements of all sports. " " An excellent course, delivered in a fun and informative manner. Alan made me feel really relaxed and part of the group which was very important as I was the only female on the course. Best course I've been on. " " I was introduced to SAQ® while at West Ham, found the training stimulating, football specific and top notch. I believe all clubs should use the SAQ® Programme. " " Positive feedback following the SAQ® Training induction has been overwhelming! We intend to have a SAQ® Schools Training Director down again soon to train the remainder of the teachers. " " SAQ® has underpinned our desire to impart good practice across the authority. With excellent training from SAQ®, 90 coaches, secondary and primary teachers have been trained. " " SAQ® Training made a massive difference to the performance level of the players and the team. The modern game demands that players are fast, multi-directional and at times explosive. SAQ® Training definitely delivers this. " " The entire SAQ® concept is breathtaking and yet so simple. I strongly recommend taking the one-day course at your earliest convenience. The grass roots and coaches of all backgrounds should embrace these ideas. " " I have thoroughly enjoyed the challenge of designing and implementing a conditioning programme using SAQ® Training principles. It has opened my mind and unlocked my imagination to many new ideas. " " We introduced SAQ® across all age groups last September. Using SAQ® has led to the desired improvement in co-ordination and all the children thoroughly enjoy their SAQ® sessions. " " I have actively been using the principles of SAQ® for ten years. As a player in both the Premier and Football League I found the advanced elements of the Continuum a useful tool in enhancing quickness and power. " " My Physical Education teaching background convinces me that the SAQ Women's Soccer programme can enhance all movement for football, whatever the age and ability of the player. " " PSM AWARD Was a very good and enjoyable day, could integrate lots of these things into my own training and when I am coaching too. Would highly recommend to other sports professionals. " " PSM AWARD Alan was a great host and gave a very good presentation followed by an excellent practical. " " PSM AWARD Very Interesting award, Very enjoyable and delivered superbly. " " This is the first time in 16 years teaching that we have had training on movement and the link to acedemic achievement. I hope that it can be spread out nationally St. Mary's CE Deputy Head "
" eEMP Award feedback: ‘The course was very fun and enjoyable and was made to feel very comfortable....worth the 2 hour drive, as I now feel a lot more knowledgeable on the course! ‘ "
" FM Award from 2 weeks ago in York: ‘As a middle-aged woman with a very negative sporting/PE history, I found it very daunting being in a room with a group of sports undergraduates and struggled with some of the practical activities. However, Alan was "